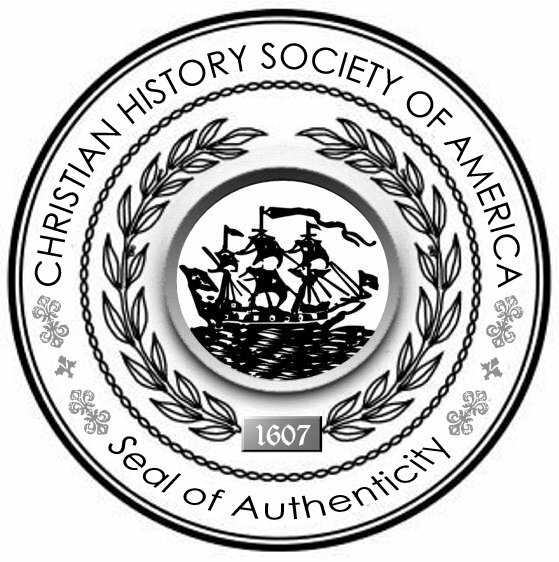 Welcome to the Christian History Society of America! The Christian History Society of America is dedicated to presenting the Christian history of the United States in an educational, edifying, and entertaining manner. This takes place through publishing historic Christian book excerpts, reenactments, and much more. Christian History Society of America, 10 Croyden Lane, Staunton, VA 24401. You may also email us HERE. Click HERE for information on our For God and Country Sales Gallery. Discover God's hand in history as the wild frontier west of the Blue Ridge Mountains is settled and tamed. This book covers the time period between the early 1700s--as intrepid explorers crossed the Great Mountains--through the beginning of the Revolutionary War as Major Andrew Lewis led the colonists to a resounding victory at Point Pleasant. "I have but one lamp by which my feet are guided, and that is the lamp of experience. I know of no way of judging the future but by the past." Heroism, Compassion, and Reconciliation by the Angel of Marye's Heights. Click HERE to read. Click HERE to find out more about the Society's "Seal of Authenticity" program. Click HERE to visit the Christian Hall of Fame site.